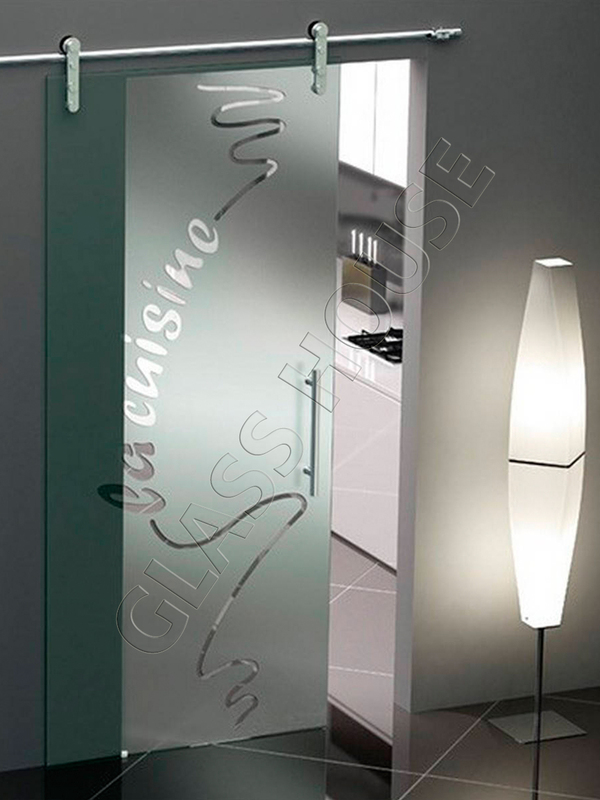 Sliding glass doors enable you to save space and provide you amazing design for your interior. 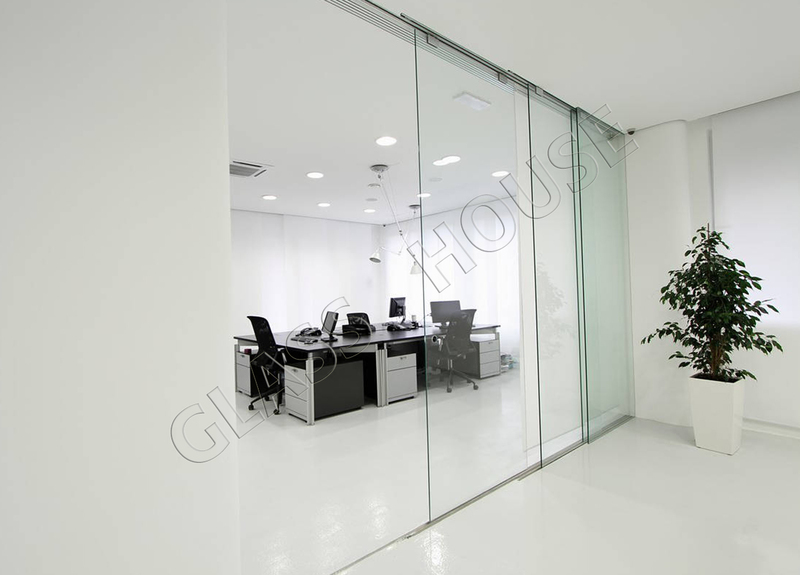 Sliding glass door as an excellent way to separate and join surfaces in flats and offices, is being more and more often applied solution while arranging interiors. 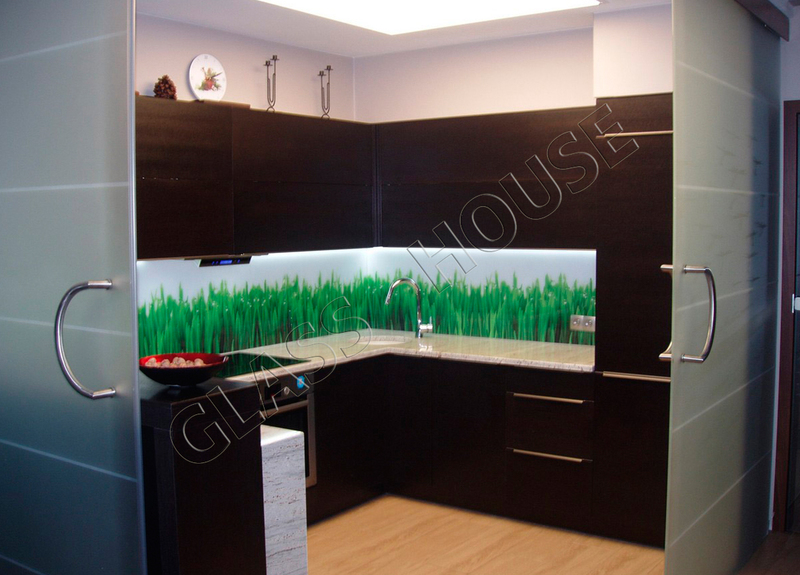 Not only are they uniquely practical but also very modern and decorative. 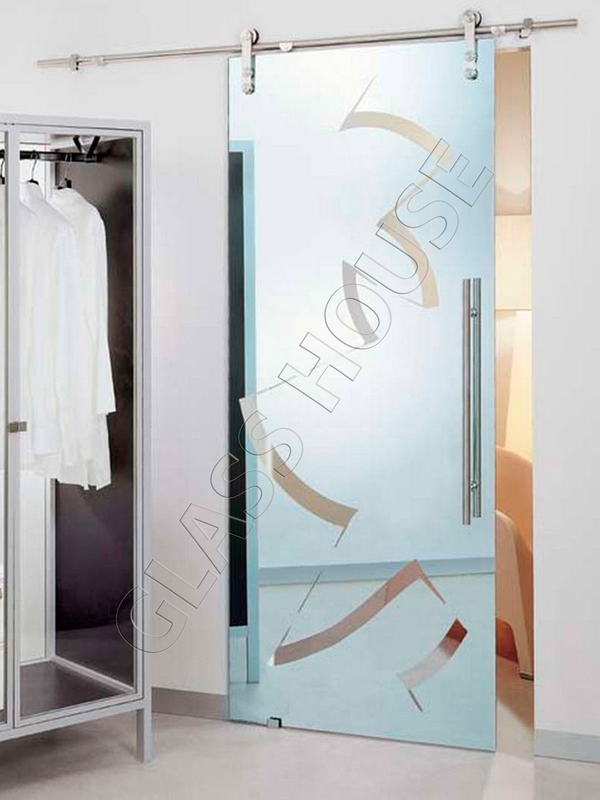 Sliding doors take only a small space, that’s why it’s possible to locate them in every apartment very easily. 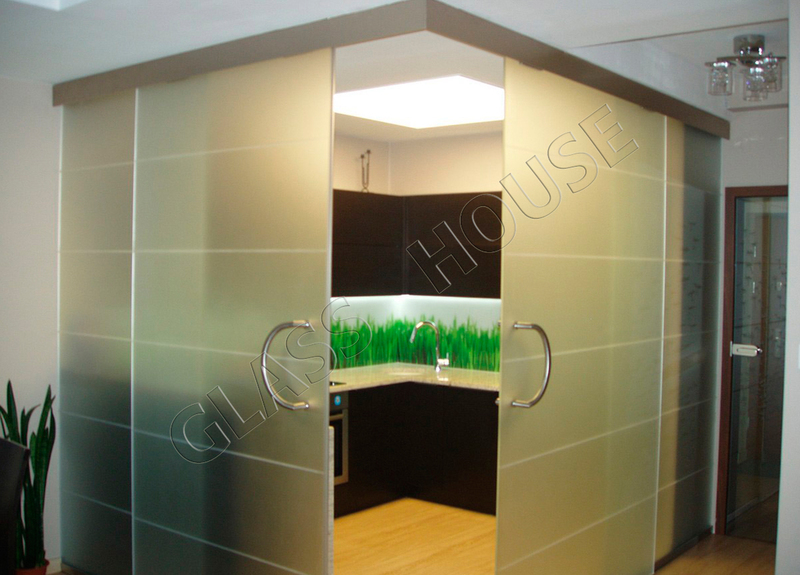 It is a perfect solution both for small and big space. 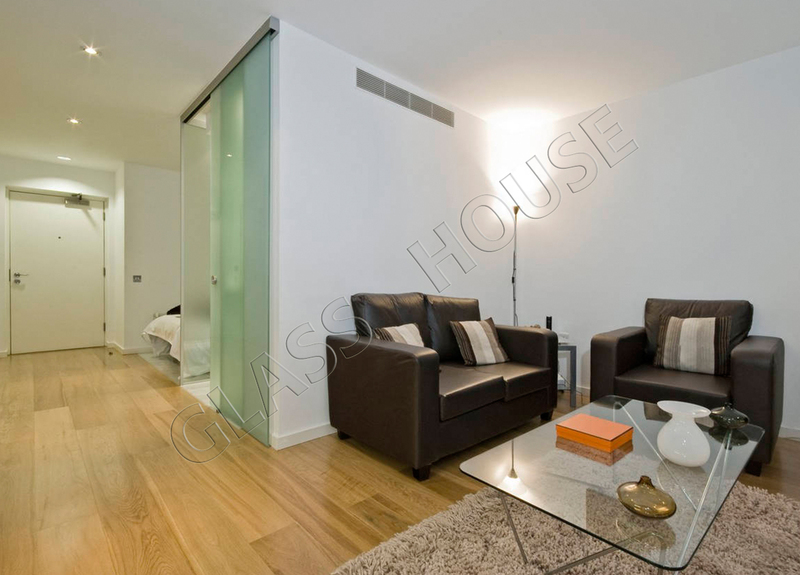 Sliding glass doors enables very fast and easy arrangement of rooms as well as provides a great functionality. 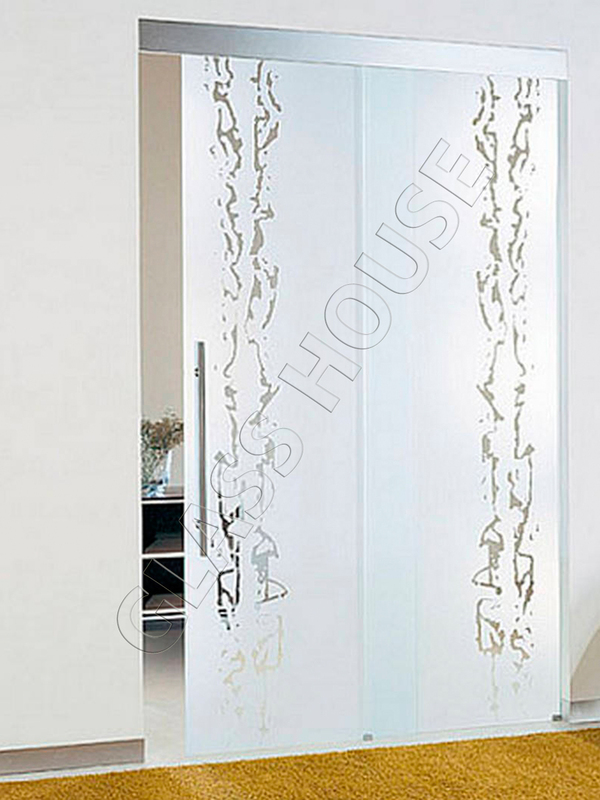 They are perfectly applied in narrow halls and small rooms. 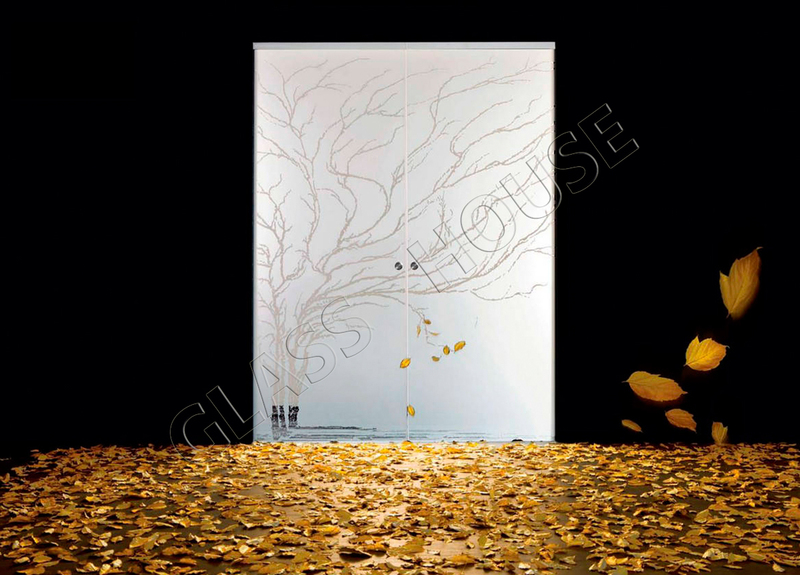 Being designed and mounted in a right way, they may create an architectonical masterpiece from every room. 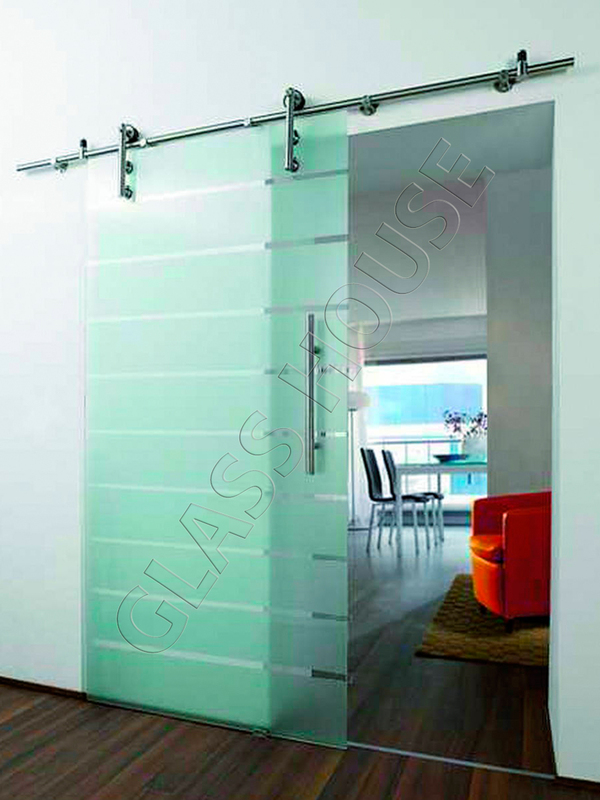 Doors are made from different types of glass in different colours, which is characterized by an average thickness of 8mm or 10mm. 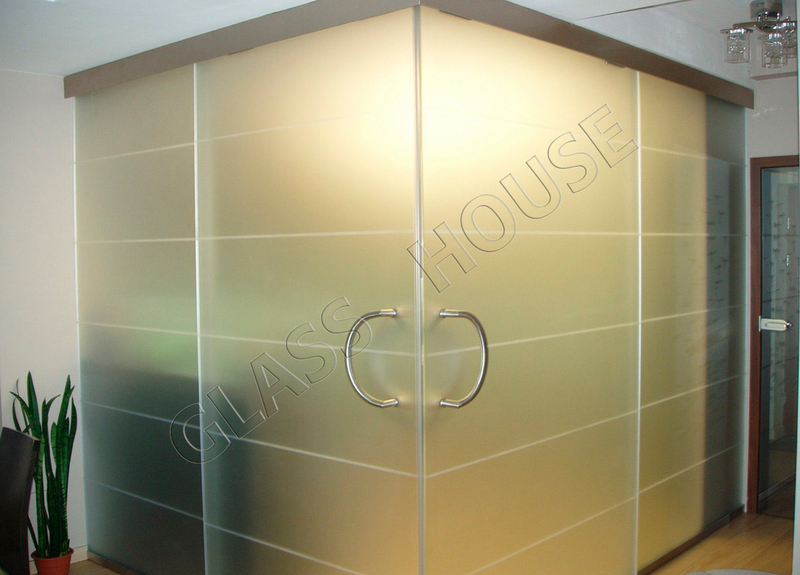 You can choose the following types of glass: clear, frosted, brown, pewter or blue. Three last colours are also available in a frosted version. 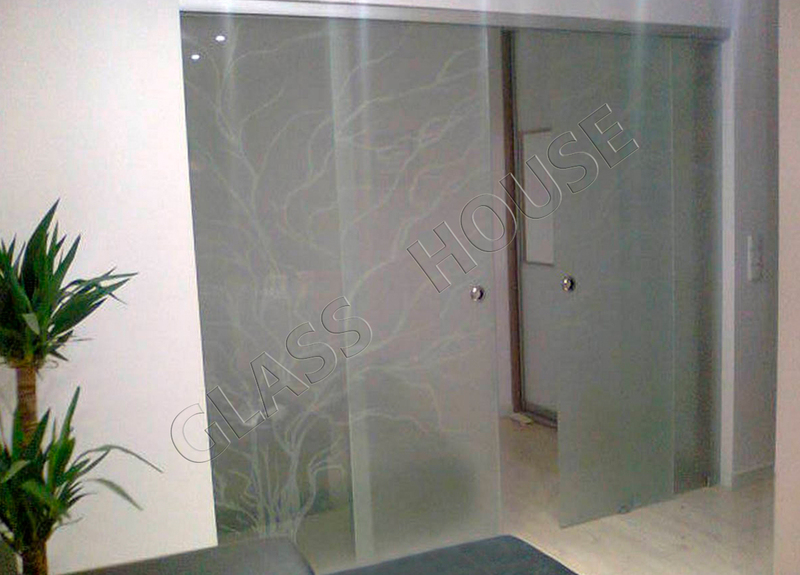 A pane may be also decorated with sandblasted patterns or clear patterns on frosted glass. You can choose one of the pattern included in our catalogues or propose your own pattern. 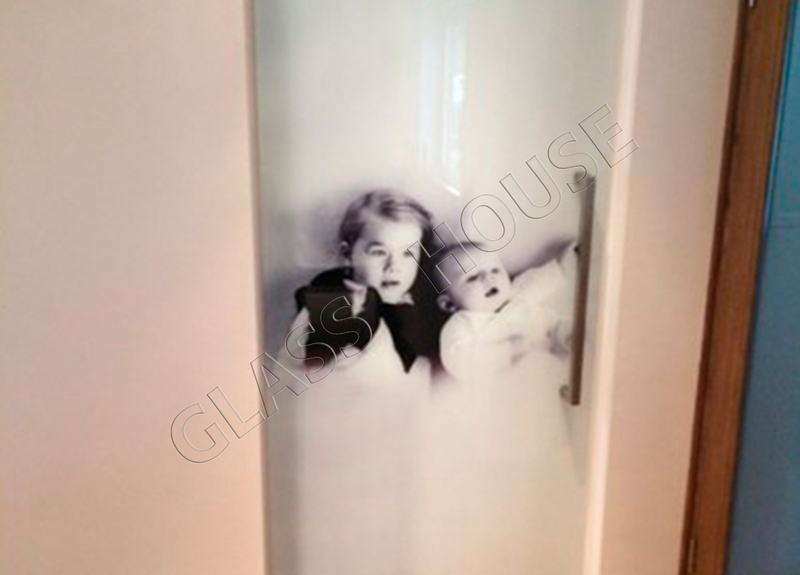 For all lovers of creative design and unusual solutions, we offer doors with any photo or picture (characterized by an appropriate size and definition- 300 dpi) printed on it. 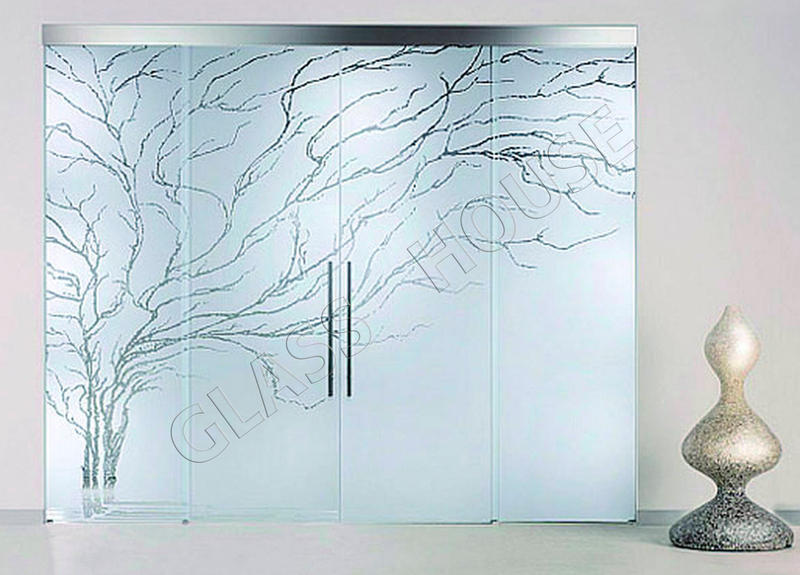 A pane may include any foliage or industrial motif. The thing which confines you is only your imagination. 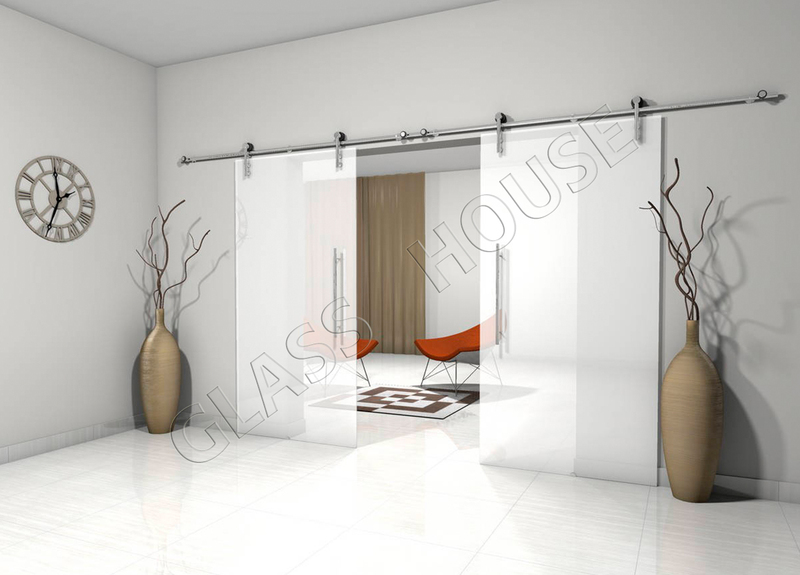 Our offer includes two types of sliding door track systems. The first one is a system where the carriers holding the pane are hidden into the track and the second one is a system where the clamp holders move on the tube mounted to the wall. 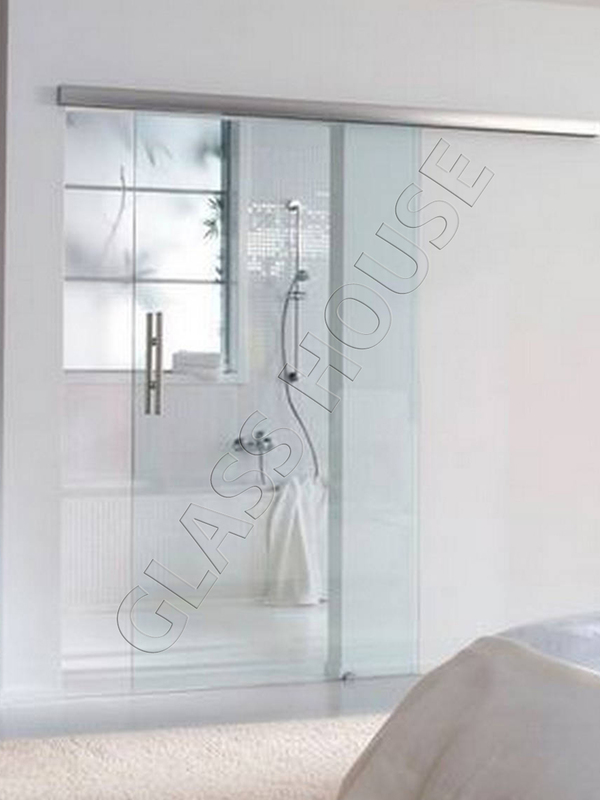 Both systems are very functional and the choice of the particular one depends on further user’s preferences, considering the fact that tube system may be mounted only to the wall and the profile system may be mounted also to the ceiling. 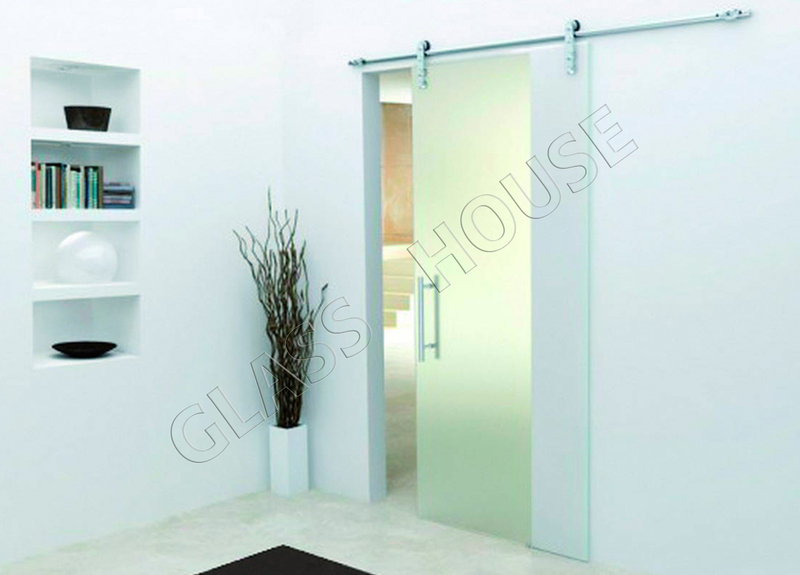 Depending on the size of space to develop we apply doors with single wing or double wings. 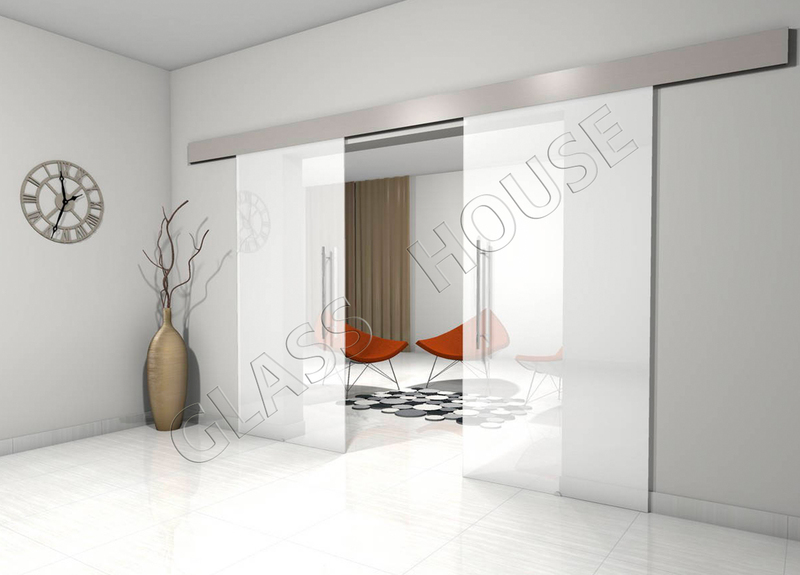 It’s worth to think about the installation of sliding glass doors even while designing the room. 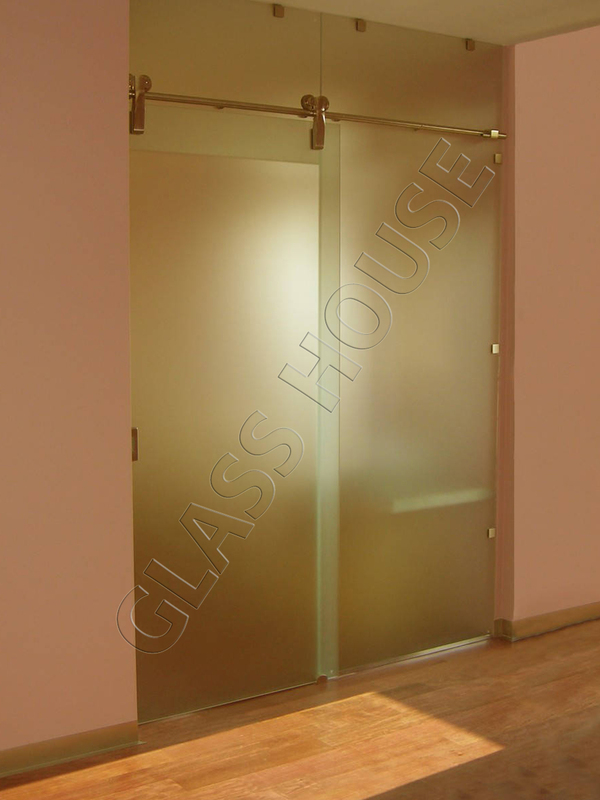 We must not forget about the fact that a pane of glass should have some space to be moved while opening the door. 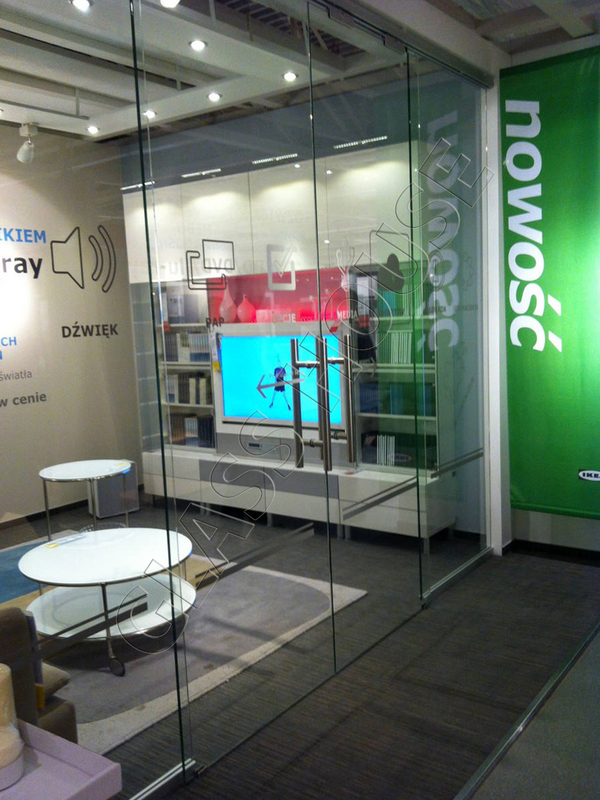 The important issue is that the wall where the system is to be mounted should be made from a proper material. 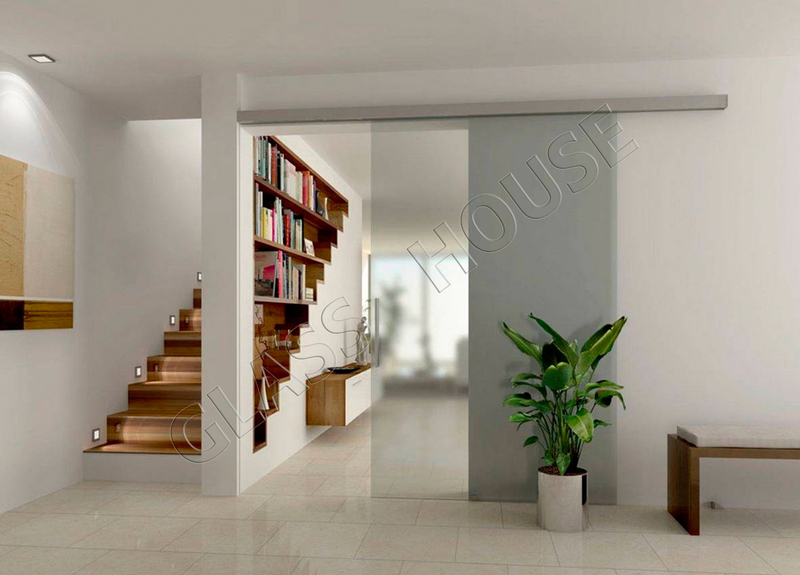 Unfortunately, it’s not possible to mount the sliding glass door to the plasterboards. 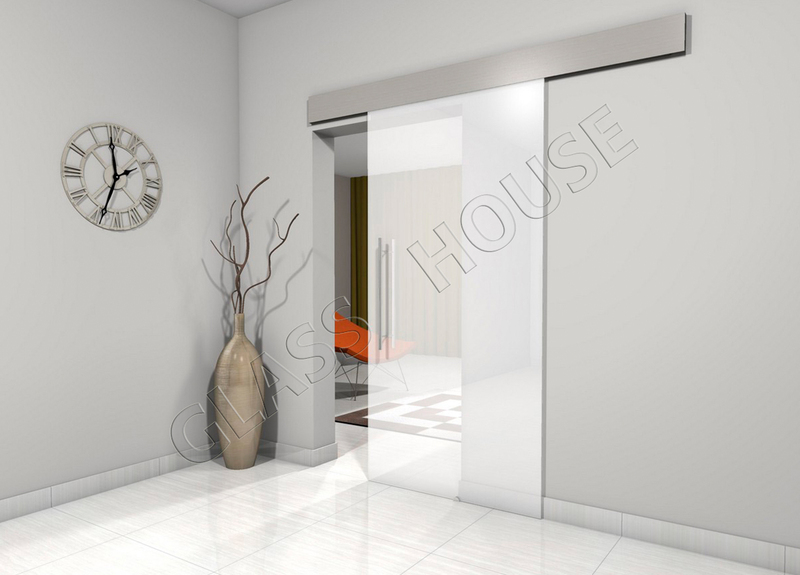 Sliding glass doors are sold along with all elements which are necessary while installing it. We provide delivery service. 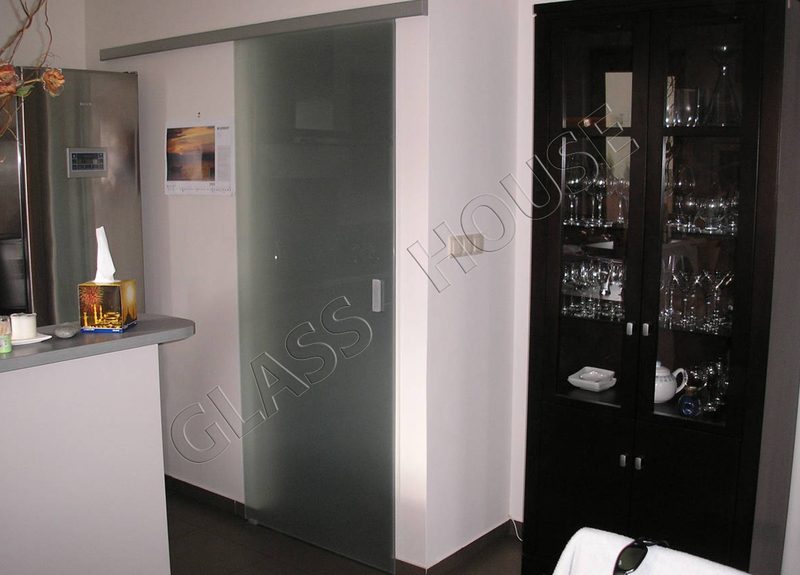 Before we start creating your door, we offer you professional measurement service. 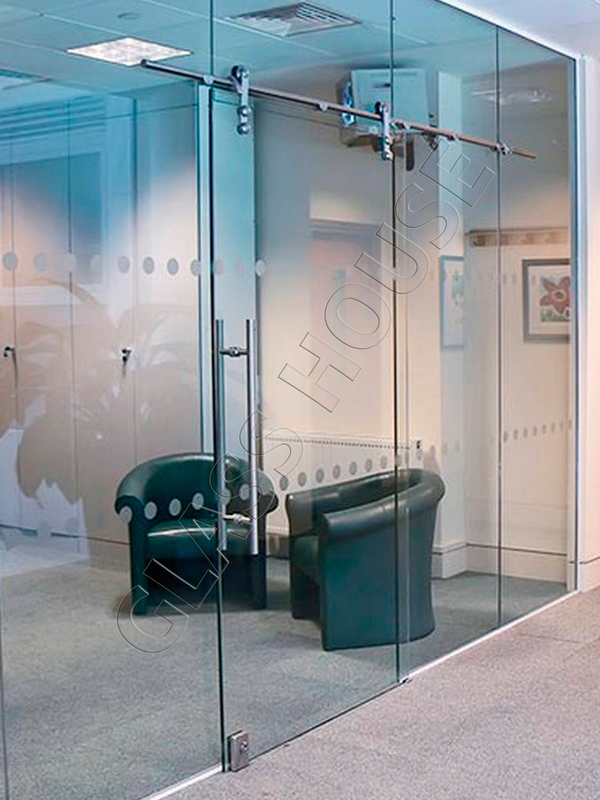 We supply different types of sliding glass doors which vary in price- from the economic to the premium version.